For decades, the state government would present budget and then the political executive would herd the babus to districts for perennial district development board (DDB) meetings. All of a sudden, last week, it witnessed complete reversal. 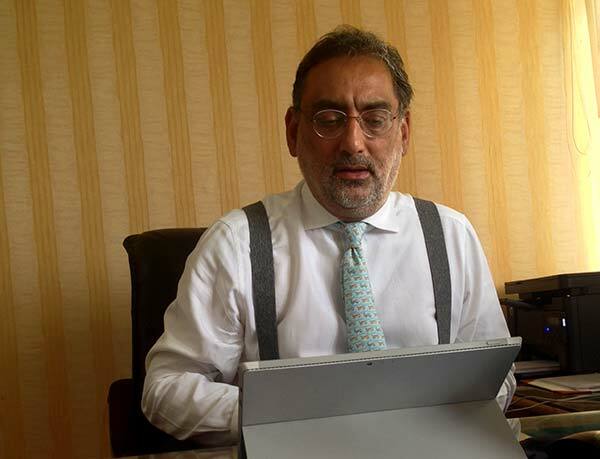 Finance Minister Dr Haseeb Drabu presided over the DDB in Islamabad in anticipation of the budget presentation slated for May 30. Apparently innocuous, the decision marked a complete shift in district development planning. The marathon 7-hour long meeting explained the idea of taking note of actual demands of the stakeholders so that they are accommodated in the budget and not vice versa. Budgetary constraints apart, it will help districts get its priorities fully funded. Earlier, the government would visit districts after the budget, take note of the priorities of the local administration and representatives and eventually find it impossible to fund them. This was the reason for creating “additionalities” to fund the district priorities. Drabu sees “additionalities” as ad-hoc abnormality in public finance and contra virus to the method of planning. The new system will do away with it and prevent state resource managers to hunt for avenues to fund these priorities outside the budget. The new measures are extension of initiatives launched already. Last year, Rs 2000 crore of revenue expenditure within plan was transferred to revenue side. This resulted in transfer of resource to districts purely and completely for developmental activities. This year another Rs 200 crore was transferred. Earlier, if a district was getting Rs 100 for capital expenditure, it had provision of Rs 20 as salary. With the salary element taken away at the state level, districts will now have Rs 100 available for developmental activities which has effectively increased the size of the capex even if the allocation remains unchanged. Another major problem in district developmental plan was that part of it was financed through loans lifted from NABARD and other lending institutions. Districts would usually take devolutions from state kitty and skip lifting loans. It would result in not meeting the developmental targets because of resource gap. Of the Rs 100, they would get Rs 50 from state plan and end up spending only part of it so the physical targets would normally remain 40 percent. Last week, this system changed. Now all barrowings would be made at the state level. Districts would get full money and the results would improve by 100 percent, if not less. Under the traditional system, the central sponsored schemes (CSS) would be operated at the state level. Last year, they were shifted to the districts. Deputy Commissioners are responsible for two things on CSS front: to channelize funds for CSS and generate demand for the schemes that suit them. It is a complete reversal from top down to now bottoms up. The new system will help districts to generate demand as per schemes they require. One district may require lot of funds under PMGSY unlike its neighbouring district that may be better suited for MGNAREGA. Drabu has even changed the way the outcome of particular scheme is assessed, accounted and monitored. He told DDB Islamabad that he would not require knowing the number of mandays a district created under MGNAREGA in a year. Instead, he said, he would like to know the percentage of families covered, percentage of families which got 100 days of work and the average days per family. Tripura, he pointed out has a better model. Average days per household and percentage of households completing 100 days of work are the main benchmarks. For the North Eastern state 94.5 percent is the average number of days per household and 53 percent households have completed 100 days. Against this, J&K has 48 days per household and only 5 percent of households having 100 days of work. Drabu sees the demand soaring once J&K gets even closer to Tripura that is doing the best in India, right now. Finance Minister says the districts must stop telling the state wherefrom the resources would be managed. “Give me your connectivity plan and I will give you the resources,” he told the DDB. “Focus on physical targets and not the fiscal part of it. Avoid getting the cart before the horse.” But he wants the districts to make clear distinction between Greenfield (new) and Brownfield (existing projects requiring up-rating or repairs) with emphasis on top priority. In order to put an end to the jamboree DDBs, Drabu suggested the district administration must have a pre-DDB meeting with local representatives on basis of which a consensus on priorities should emerge and form the DDB agenda. Once the final decision is taken, there should be quarterly review at district level and the government must get a monthly report. He also wanted the constituency development fund of lawmakers to have flexibility in expenditure because requirements at ground zero are not same everywhere.